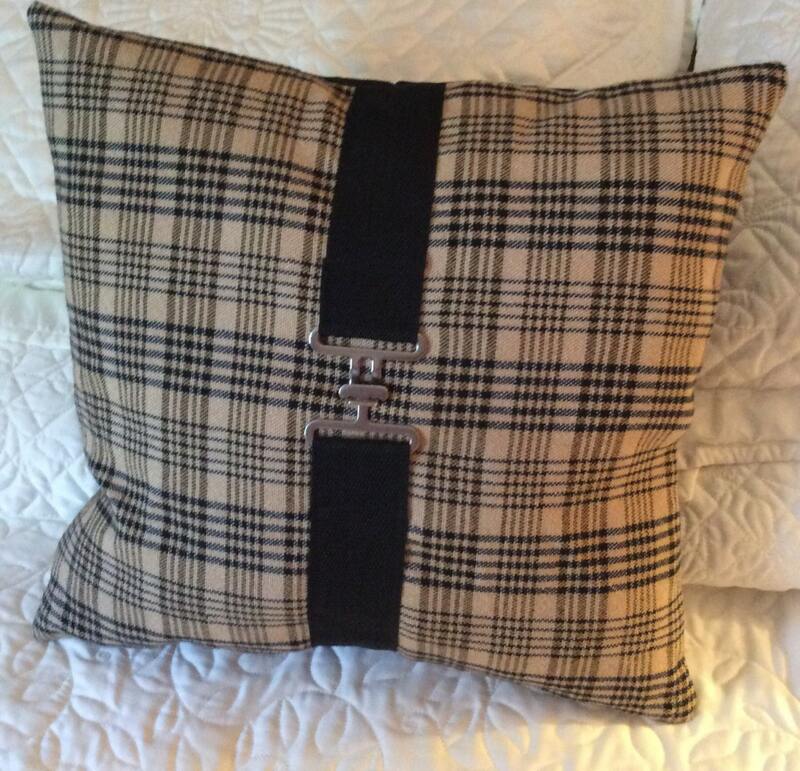 This pillow is made from an actual famous brand tan and plaid cotton horse blanket. It has a black strap down the middle attached with the actual hooks from the sheet. The back is made with a soft black faux suede. The pillow insert is a polyester blend. If you require a down pillow it is $5.00 more. The pillows are extremely durable and and are pet and child proof! This listing is for an 18” but can be made in any size. Have your own blanket? No problem. 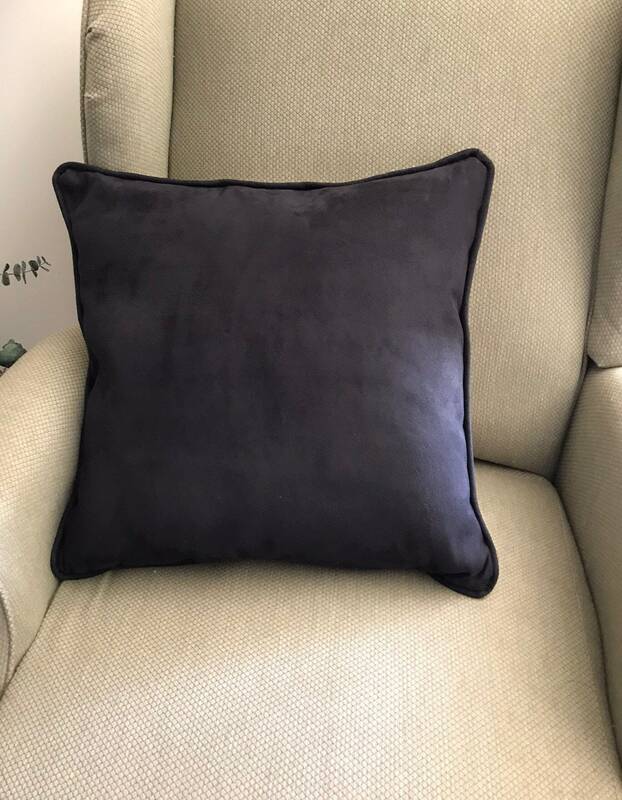 I make custom pillows from your own items. Using your blanket makes it extremely personal to you. The price of the pillow decreases to $30.00. 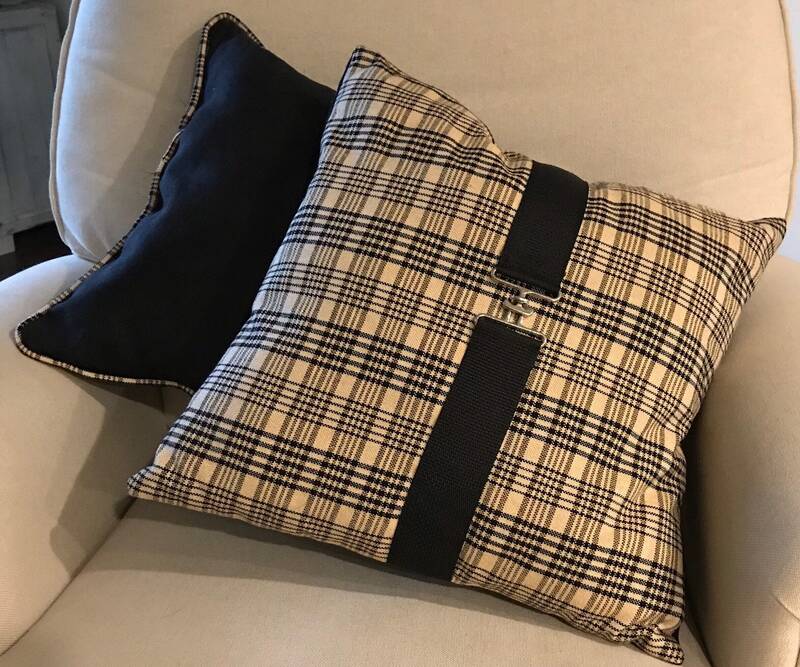 I will ship the remainder of your sheet back to you with the pillow or better yet have a few custom items made for you(handbags are my specialty). If you can think it I can design and make it. Order before December 13 for Christmas delivery.